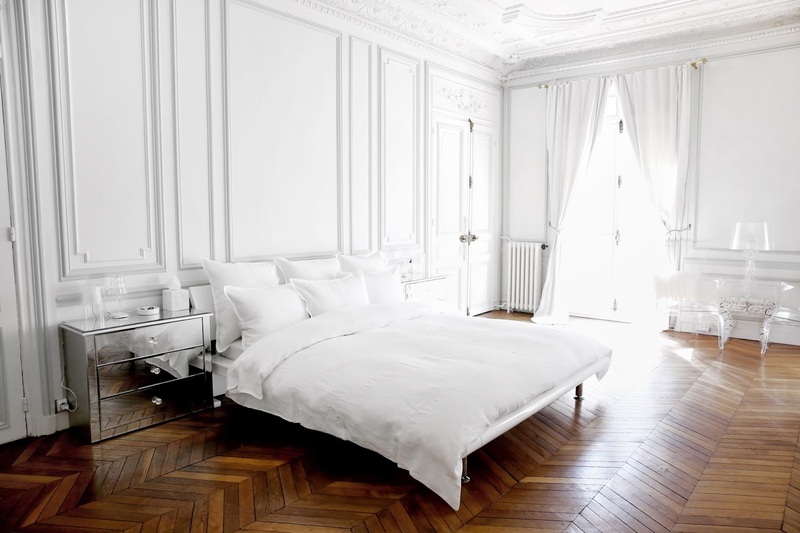 I've been lusting all over internet for all the dreaming Parisian apartments and it truly was a dream come true to finally stay at one myself during my trip to Paris this April. 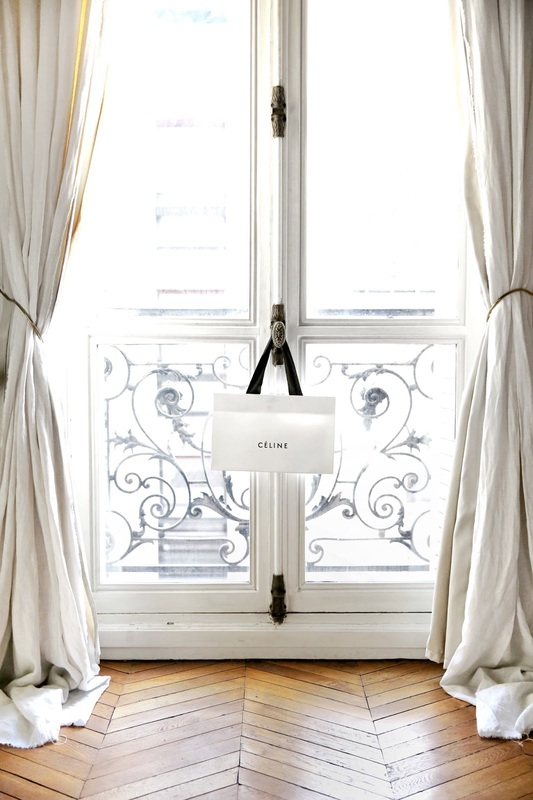 This little Parisian flat is hidden in quiet Rue Balzac but just steps away from The Champs-Elysées and the famous Arc de Triomphe. A perfect location for tourists or lovebirds who enjoy centre Paris but want a quiet space of themselves. This place is the perfect example of less is more, and there's no element of this place I don't love. 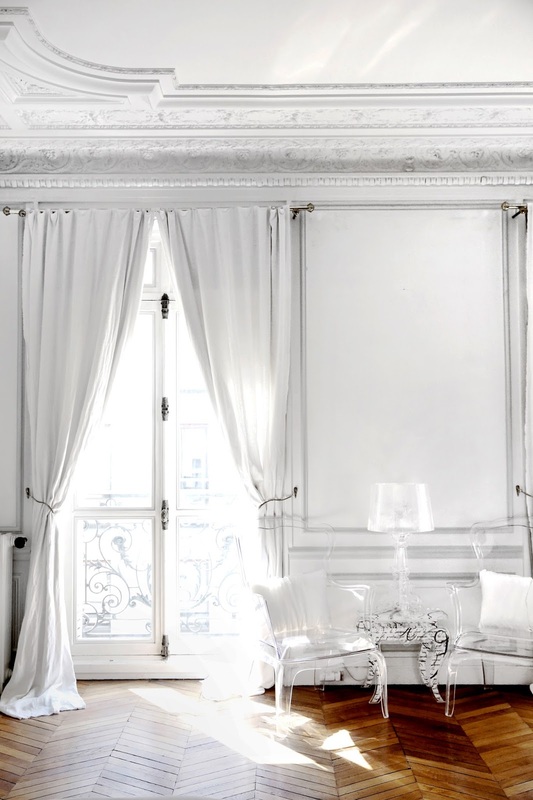 In fact it ticks all the boxes of my dream interior place: parquetry floors, bright white space, high ceilings with floor length windows, ornate moldings, marble fireplace and wrought iron balcony with views to the boulevard. And don't get me started on that big fluffy bed(seriously it made it so hard to get out of bed). 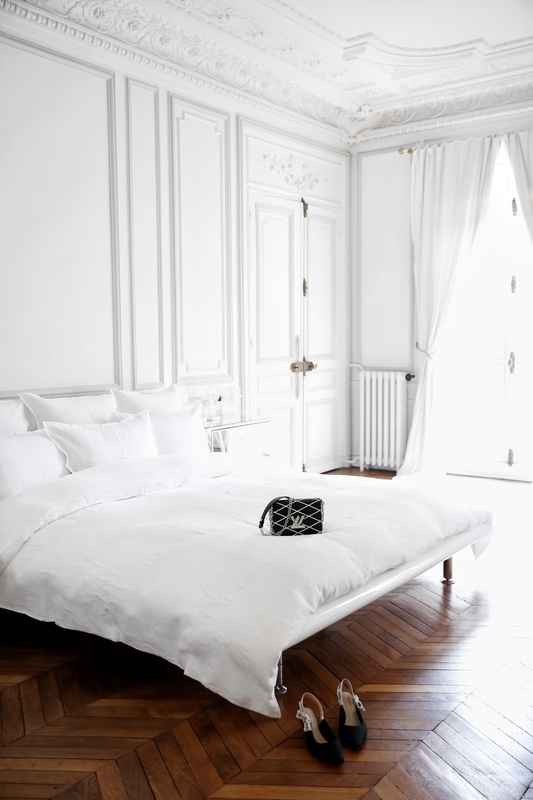 It's safe to say this is The Parisian Apartment to stay. 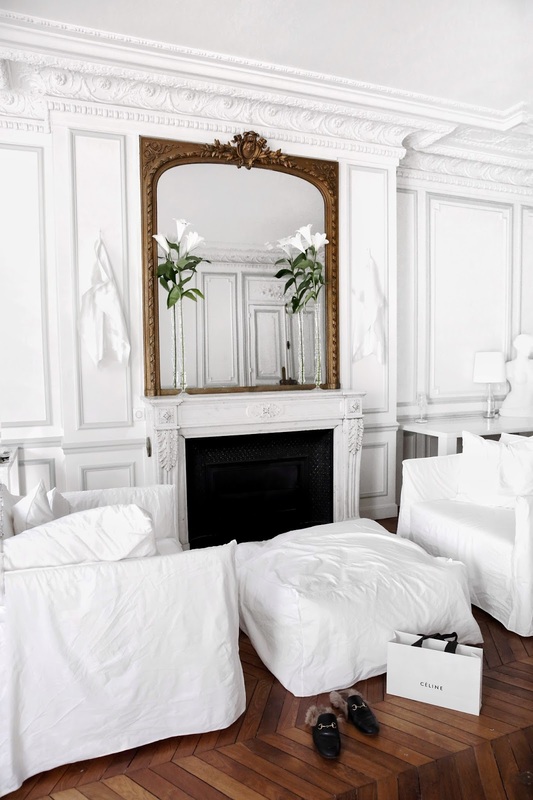 Or if you enjoy more of a modern twist, check out this apartment here.